Ok, I’ll come right out and admit that I’m a big fan of the Kindle DX. I know it is a bit expensive compared to the other Kindles, especially after the price drops that we have just experienced, but it does a specific task very well and shouldn’t be overlooked entirely by prospective purchasers. Unfortunately, Amazon seems to have virtually abandoned the only good large form eReader on the market at the moment, at least as far as their advertising is concerned. This new Kindle is the least expensive and most portable ever to hit the shelves. It weighs less than most paperback books, for example, and will technically fit in your pocket. Please note that for the safety of your Kindle it is not recommended that you carry your Kindle around in a pocket. The battery life, while not quite as impressive as the more expensive Kindle Touch, is still an impressive month of reading. You can even change the language of the Kindle interface now, should you have a non-English preference. The Kindle 4’s inability to be purchased with 3G connectivity makes it a potentially poor choice for people without access to a reliable wireless network. Storage is also substantially reduced, which might be an issue for people with large libraries. This may not matter to many, however, because this Kindle also lacks the ability to play audiobooks, or indeed any form of audio. If you like to listen to music while you read or have plans to make use of the Kindle line’s popular Text to Speech feature, this is not the right device. The first ever Kindle with a touchscreen, the Kindle Touch eliminates the uncomfortable keyboard that many people have often complained was simply wasted space on their eReader. This manages to reduce the weight, allows for an easily usable localized interface, and generally speeds up navigation. 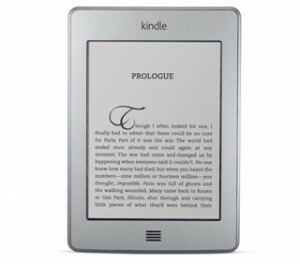 This particular Kindle also has access to the X-Ray feature, which will allow readers to highlight connected passages throughout a given book, find term repetitions, locate external references, and pull up detailed articles via Wikipedia. So far, no other member of the product line has access to that. You will also get the device with the highest battery life in this comparison as well as the opportunity to choose 3G coverage in addition to the included WiFi capabilities. Unlike the Kindle 4, this eReader has audio capabilities and will be able to both play audio files or audiobooks and read texts aloud for you using the Text to Speech feature. While Amazon has made the Kindle Touch’s interface quite simple to use while reading, it is still completely lacking in physical page turn buttons. This will make a small difference in how you hold the device and how often the screen needs to be cleaned. It is also slightly more expensive than the Kindle 4, though still coming in just under the $100 mark if you make use of the cheapest options. Aside from that, the only real downside is the highly restricted nature of the optional 3G coverage. Unlike previous Kindles, this one will only allow users to browse the Kindle Store and Wikipedia via 3G. Everything else is blocked off, rendering that option far less appealing. The clearest advantage here is going to be screen size. Having a 9.7″ screen to work with will come in very handy for just about any book. This is especially important for people who prefer or require larger print sizes, or for the display of standard size PDF files that might be difficult to view on smaller devices. The Kindle DX has slightly more available storage space than either of the other options, which is also useful for PDF viewing as those files tend to be far larger than Amazon’s proprietary format. Also, this is the only device listed here that allows unrestricted 3G connectivity. Of all products in the Kindle line, the DX is probably the best suited for internet browsing. The biggest downside here is weight. The Kindle DX is clearly far too heavy for comfortable long-term reading if you prefer to hold your book in one hand. It is better compared to a hardcover book, which has a bit more heft. Perhaps owing to the assumption that people would not want to be reading with just one hand anyway, there are no left-side navigation controls. This can make the device hard to use, especially for lefties. The firmware for the DX is also lagging a bit behind and shows no signs of pending improvements, so what you have now is probably all you’re going to get. Finally, obviously, is the price. At nearly four times the cost of the Kindle Touch, the DX will only be worthwhile if its larger screen provides you with something you find truly valuable. 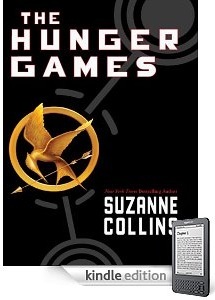 Kindle 4: Perfect as a paperback replacement for the regular reader. The stripped down model provides a cheap enjoyable reading experience. 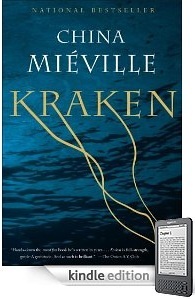 Kindle Touch: Great for active readers. By far the best option if you like to highlight, annotate, and examine your reading material closely. Kindle DX: The larger screen makes this desirable for people preferring large print, anybody carrying around loads of PDF files, students, and those with a strong preference for the hardcover feel of a book. The often overlooked, or at least undervalued, source of cheap literature is older titles that have fallen out of copyright. Sometimes they’ve fallen very far out of copyright. For a while, it was pretty obnoxious to even try looking through these books in the Kindle Store since anybody who felt like going through the effort could post their own copy in hopes of making a few dollars. In the past several months they have made a major effort to clean things up and remove duplicate copies. It’s a mixed blessing since some of the approved ones remaining seem to be bad OCR copies rather than something a person has actually looked over, but suddenly it is a lot easier to find interesting things to read. Now, a lot of people definitely seem to think that the so-called ‘classics’ are by definition dry and hard to get through. I certainly wouldn’t recommend Bleak House to a Harlequin fan, but that doesn’t mean that there aren’t plenty of perfectly approachable titles out there to take a look at. Here’s a few that I hope you’ll find enjoyable. Not all are free, mainly in cases where free copies were poorly formatted to the point of being hard to read, but all are under $3. You’ve got an ancient family mystery dating back thousands of years, a secret society hidden in the heart of the unknown, supernatural powers, and near immortality. This would be an amazing movie, if only the reaction to certain scenes involving the treatment of death wouldn’t be so extreme. Another selection that a surprising number of people have never given a chance to. This particular collection contains all four of the novels and 46 short stories, which I believe make up the whole out-of-copyright collection. It’s been said that what fascinates people about Holmes is not the process he uses, but how much fun it is to watch him do it. Give it a try for yourself. 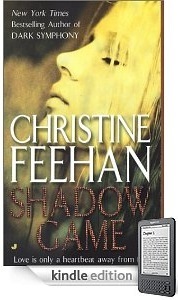 This book is a great suspense/mystery book with just a little bit of the fantastic thrown in. It is really a fun time overall and has quite possibly the best villain ever(who was, coincidentally, modeled physically on the author himself according to many accounts!) This one would be worth it for that character alone. I haven’t had a chance to write down any interesting book recommendations for Kindle fans in a while now, but I figure that since I have a decent list piling up it might be time to share. It’s been an enjoyable couple months of reading and I’ve got several more modern fantasy offerings that I hope you will enjoy. I did. They aren’t the cheapest books I could find, but they are definitely worth the asking price. This is really one of the best books I’ve read all year, even if it isn’t necessarily the best thing ever written by the author. 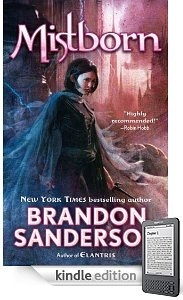 It is a decently complex fantasy mystery set in a London strangely reminiscent of that in Gaiman’s Neverwhere. It’s a world of cults, secrecy, underworld politics, and strange powers. On top of that, there is a magically missing giant squid which seems to be at the heart of a plot that could end the world forever. I’m honestly a little confused about the mixed reception that Kraken has gotten so far. 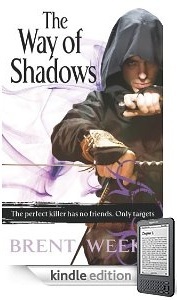 It is averaging 3 Stars overall in the Kindle Store, but deserves more. It worked in most ways, but some people may find it a bit off-putting from what I’m told. While it might not be for everybody, if you think you would enjoy a complex story that forces you to understand the protagonist’s state of mind during unexpected culture shock then I’d say give it a go. This is the first in a fairly substantial series by Green. It’s a quick, fun read that I can’t describe much better than Pulp Detective Fiction meets Moorcock’s Multiverse. The main character is a professional detective with no actual detecting skill besides a “gift” that lets him find anything magically. The fact that it manages to be a fun read is proof of the concept that it can be more interesting to watch a mystery being solved than to understand the process by which it is solved. In a lot of ways, this reads like the author’s personal homage to all the things he loves in literature. You’ll catch references, both overt and subtle, to the existence of things taken from dozens of different major genre works you might have read. After something as dense and complex as Kraken, it makes a great fun diversion. This is sort of a harsh take on Harry Potter with a bunch of CS Lewis thrown in for good measure. Basically, Magic is real and people learn to use it at secret schools where only the best of the best can get in and learn to manipulate the world to their liking. Unlike many books with similar concepts, this isn’t an uplifting story of wish fulfillment and overcoming adversity. The characters are undeniably human and manage to overcome the sort of “nerdy teenager gains superpowers” cliche that you might expect at first. I found it to be a genuinely interesting, and occasionally troubling, look at what it really means to be offered everything you ever thought you wanted. The outline of the story is familiar, but the execution is beyond excellent. Oddly enough, one of the prerequisites for blogging about the Kindle isn’t a strong rapport with young people. I’ll admit right off the bat that I don’t know much about kids. They’re small and high pitched and seem to enjoy climbing on things? The few I know also seem to really like dogs. We have that in common! Anyway, while my practical knowledge of children is lacking I have been encouraged recently, in light of the Harry Potter eBook possibility, to look into some of the children’s lit that is available for the Kindle. It turns out there is a fair selection out there. Chances are good you’ll recognize this one. 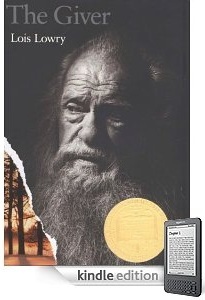 The Giver is a classic, after all. It’s a story about a seemingly “perfect” society where everything is carefully controlled. Population is limited, careers are carefully selected well in advance for children, there is no crime, no drama, and neither old age nor imperfection have any real place in it. Naturally this isn’t quite the paradise it seems at a glance. It’s a simple but powerful book that many people definitely remember fondly with good reason. Addresses social issues, quite well in an engrossing kind of way that surely fits the educational requirement many parents have for their kids’ reading. I was actually rather shocked to find out that this book/series was for children, given all the adults I heard raving about it. The premise is a cross between Death Race, Battle Royale, and the Survivor Reality TV show. While it is a bit violent, I’d say it’s definitely less shocking than your average PG-13 movie, so I doubt there will be many parental concerns overall. The response to this book, the first in a trilogy, has been overwhelmingly positive in pretty much every age group. The characters are strong and believable. The plot deals with interesting, if not entirely original social issues. There’s really nothing at all that I could find to complain about. 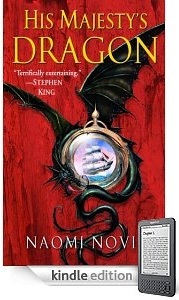 This is the first book in the second series that Riordan has come up with so far. The first, the Percy Jackson series, you’ve probably heard of because of the movie that came out of it if nothing else. This series is based on a similar concept, but focused on Egyptian mythology rather than Greek. The story is presented through the eyes of a brother and sister in the frame of a transcript of the story. It works to provide a fairly unique multi-view perspective as he switches between the siblings, and allows for some variation in the narrative voice that keeps it interesting. 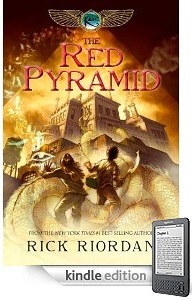 There is a lot more information presented in this book than in the Percy Jackson series. It is definitely bigger on educating the reader. This could be because Riordan simply thought it was more interesting to talk about or because he assumed that there was a greater familiarity that you could assume when dealing with Greek mythology, but either way it fits. The theme of the day is Romance books for the Kindle! Specifically, romance books revolving around crazy supernatural types of things. I understand that’s the big thing these days, after all, and I had to narrow it down somewhere. Can you imagine trying to pick three unique Harlequin Romances to throw up? Anyway, being fairly new to the genre I’ve gone with a couple of what I understand are fairly big names. This was a surprisingly fun list to go through, though, and I heartily recommend a browse even to people who aren’t normally wild about this particular theme in their reading. I’m leaving out Hocking on purpose, since she seems to fit better into a niche for younger readers. 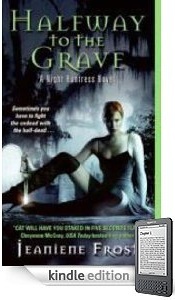 Catherine Crawfield has very simple ambitions in life: working hard in her grandparents’ cherry orchard, trying to keep her mother from diving into the bottle one more time, and trying to kill the undead monster that fathered her. This is the first book in a series that seems more than a little clichéd at first, but build up enough momentum as the plot and relationships develop to be worth sticking it out for. While I can’t say anything about the later books in the series, you can tell that there’s potential and the writing is definitely good enough to make it tempting to keep on going with it. If nothing else, this doesn’t seem like something that’s heading downhill. When Dr. Whitney, the scientist in charge of the experiment he volunteered for, goes missing, Captain Ryland Miller finds himself in a high security mansion with Lily Whitney where he begins to think that maybe the psychic powers brought on by this experiment aren’t his only concern. The plot is thin. There’s no denying that. The flamboyant characterizations serve as a decent way to offset that, though. The real redeeming aspect, for me at least, was the amazing sense that the author knows exactly how far-fetched the scenarios she has come up with really are and is choosing to go with it anyway. There are some real stretches and no small number of amazingly overextended metaphors. This was a blast for me, if perhaps not in the same way that I would imagine some fans would prefer for it to have been. Not at all an intended insult to the author. This was pure fun if you can avoid taking it too seriously. It’s my understanding that there’s some controversy over this author. Looking through the list of her works, it definitely seems she’s gone a bit downhill over the years. That said, she apparently started out well. This one is the first book in an ongoing series set in what is now an almost cliched world of human/supernatural coexistence. Looking back, it seems to me that she got in on that early enough that it’s excusable. The writing is strong, the plot is fairly compelling, and the characters are believable if not necessarily deep. What surprised me here was the lack of emphasis on graphic scenes, given what I’d heard about the series. Overall, definitely something I would recommend even to those who aren’t romance fans. With this one, I’ve come to the end of my easily categorizable list of recommendations from readers. Feel free to send along some more to spread the word to fellow Kindle book lovers by emailing me! While presenting these recommendations, I’ve gotten a lot of responses about non-literary Kindle books. Admittedly, I’ve questioned throwing anything like that up here, but I figure that since people are sending me links it’s likely that at least some of you would be interested! Today, we have some self-help style books that claim to offer advise on just generally feeling better through basic, cheap methods. Now, unless we’re talking about a bear who just looooves picnic baskets, my experiences with things like yogis are limited at best. In order to bring the best input possible, I consulted somebody who knows a bit more. Here’s what we came up with. If you’re interested in this sort of thing, you can’t really go wrong with an informative title that costs as little as this. The attraction of this particular title stems from the treatment. It is informative without preaching or attempting to do much in the way of selling readers on a personal philosophy. It’s also quite focused, which seems unusual for such a book. Novak presents easily understood instructions on body positioning, breathing patterns, and all that fun stuff, all with accompanying illustration for those who might need it (though these illustrations don’t look quite as good on the Kindle as on paper). Even if you don’t buy into the underlying philosophy, I think it’s probably useful as a general relaxation technique, and who couldn’t use something like that these days? There is no shortage when it comes to yoga books. Most of them toss out a variety of poses, name them, and leave it at that. Probably useful for some people, but a more instructive approach is nice. This one instructs and accounts for a variety of different fitness levels. Great for anybody who doesn’t know what they’re doing so far. 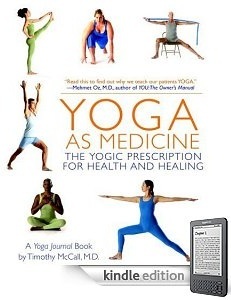 The author also spends a lot of time on, as the title implies, medical applications of yoga. While some of the claims seem a little stretched to me personally, I’m don’t feel that my background is sufficient to judge medical matters. If that’s your thing, check it out and maybe learn something. Even if you don’t, it’s easy to take this as a low-impact fitness guide that just about anybody can handle in comfort. 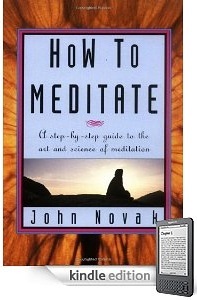 The portability of the Kindle is a plus compared to the often-bulky yoga books that many people will be used to as well. It’s no secret that overeating is a big deal for a lot of people. It’s a lot easier to get into bad habits than it is to break them. This book seems to have a somewhat different approach than the usual Diet + Willpower equation that fails people so regularly. 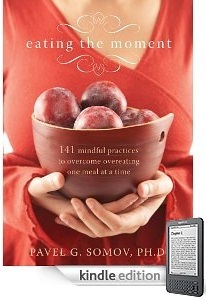 The author promotes awareness of the situations that cause you to eat, thinking about what brings on cravings, and knowing how to avoid things like habitual or depressed eating. Admittedly, some of the advice is a bit intuitive and seems weird to have to be elaborated, but bringing this sort of thing out into the open might help you out if you’ve had to deal with failed diets a time or two in the past or just want to improve on some bad habits. Today I’ve got some fantasy novels for you that you may or may not have heard of. I figure that at this point it would be a little silly to be throwing out the Lord of the Rings Trilogy or something like that, so I was aiming for Kindle Edition authors that caught me by surprise. As always, you may be more in touch with the current state of this particular genre than I am and therefore see these as old news! In that case, feel free to let me know what else to look into for next time. I suppose if you wanted to, you could call the focus here non-Tolkienesque Fantasy. There’re so many varieties these days, after all, and the elves and dwarves sometimes get a little overdone. Also, random thought, but has anybody else noticed that these books tend to come in threes? This is the first book in a trilogy focusing on the not-uncommon theme of a down and out kid with nothing special about him to begin with growing into the role of a hero. Pretty much, at least. What makes this stand out above that almost cliched theme is the amazingly accessible writing and compelling characters. 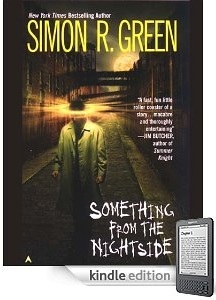 While the world building is somewhat forced at times, leaving you to wish that Weeks had dialed it back and concentrate on his main characters, in general it’s hard not to sympathize with the situations of the protagonist as he moves deeper into the physically and morally demanding life that he has chosen for himself. 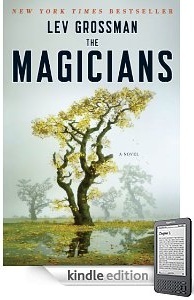 While this first book touches on issues of a vague “talent” that goes beyond human abilities, future books in the trilogy elaborate on the concept of magic significantly and bring it to the front of the conflicts. For some this will be a good thing, for others a deal-breaker. Just putting it out there. Picture a world in the aftermath of a typical epic fantasy struggle, except this time the bad guys won. While Sanderson has gotten loads of press for being chosen as the one to pick up the pieces of Robert Jordan’s epic following the author’s passing, before that he had already created his own amazing trilogy. While many will note that the characterizations are a little flat, with the main characters basically being defined almost solely by their specific magical “attribute”, the work as a whole is compelling. The world itself becomes a character of sorts, and Sanderson actually manages to make the evil emperor menacing after giving him the ridiculous name of “Lord Ruler”! The exposition is a little heavy, but this is a real page turner with nothing I can think of to say against it that would weigh against the fun you’ll have reading it and it only gets better as you move further into the trilogy. The first book in what I understand was originally intended to be a trilogy about an alternate history of the world wherein dragons are a reality of everyday life. Novik demonstrates an impressive sense of the Napoleonic Wars and provides readers with characters that are both completely believable within their specific niches and able to demonstrate a certain larger than life character. The basics that you should know going into things are that dragons are real, fairly intelligent, and domesticated enough to make aerial warfare a possibility earlier than it really could have been. The main character captures a rare egg and is forced to give up a life in the navy to care for it, whether he’s happy about it or not. This was actually one of the first books I grabbed when I switched over to the Kindle and I have gone back to it more than once. This shouldn’t come across as much of a surprise to anybody, given my admitted love of high tech reading and the tools associated with it, but I’m a fan of the SF genre. Yeah, I know, I’m playing to a stereotype by implying you can make the assumption there, but I don’t care. Now, having made that declaration, on to the Kindle-related stuff. That’s what we’re here for, right? Here are a few things I’ve picked up recently on my Kindle that I can honestly suggest you also grab when you get a chance. This one won’t come as a surprise for many people. From what I know, it’s one of the most popular Science Fiction titles ever written. I finally picked it up, with high hopes after having loved Cryptonomicon for years, and I was not disappointed. Without giving too much away, it’s an adventure in a dystopic America in the near future after the collapse of the dollar, and the government with it. You’ve got sword fights, social commentary, impressively nuts religious leaders, an intriguing early view of the potential embodied by the internet as a stage for social interaction, and much more. Most of all, it’s one of those books that you have so much fun reading that you lose track of time. To me, that’s the best mark of a great title. Did I mention that it’s got a main character named “Hiro Protagonist”? You’ve heard of Dune. 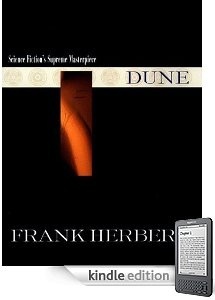 Ok, I can’t be 100% sure of that, but let’s face it…you’re heard of Dune. Between the movie of the same name, the mini-series, and the countless sequels (both those made by the original Herbert and the many horrible new ones his son keeps coming up with), it would be more than a little surprising for somebody to have never at least heard the name. How many people have read it recently, though, if they ever have at all? 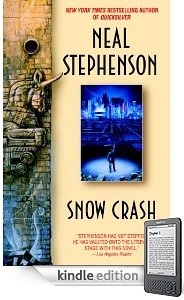 This is a genuinely great SF novel that has held up perfectly. Besides the story being genuinely interesting in its own right, it’s good food for thought. On the one hand, I can’t really think of much I could say that isn’t right on the Amazon page without giving away details. On the other hand, I couldn’t describe it in ten times as much space as I have to work with. Really, if you like good serious SF reads, grab it. Heck, even if you’ve read it before, I’ll bet it’s been a while! Give it another go. You know, I have more that I want to recommend here that I don’t have anything I can usefully say beyond “Here, check these out!” For the most part they’re so enmeshed in the genre that there’s nothing I could add productively to the discussion anyway. Really, that’s just the tip of the iceberg, of course. I hope you all enjoy as much as I do and have. As always, feel free to send me suggestions for future recommendations. That’s where this idea came from and it’s always a good time. It’s times like these, going through what I consider some of the basic components of my library that I most love having made the move to the Kindle. Never have to worry about finding that paperback you put down ten years ago and haven’t seen since!